This morning the lovely bride and ran/rode the annual Vinalhaven EMS Challenge. Not a terribly long race, but a 2.8 mile run followed by a 9 mile bike ride around the island. It is always a fantastic event, and there were many supporters along the route. 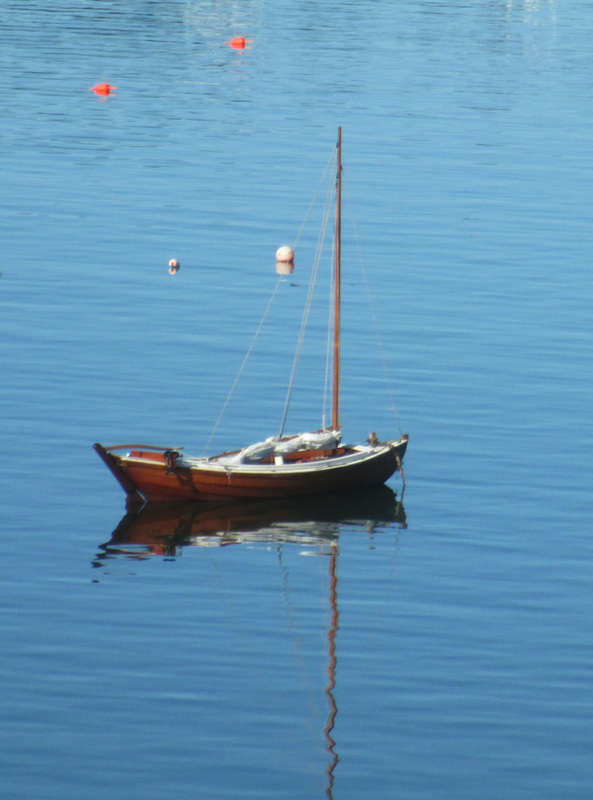 What has shown up is this cute little sailboat, which is moored right outside the house. Surrounded by lobster boats (not when the picture was taken, as most were out to haul) it looks a little out of place, but is, at the same time, really charming. 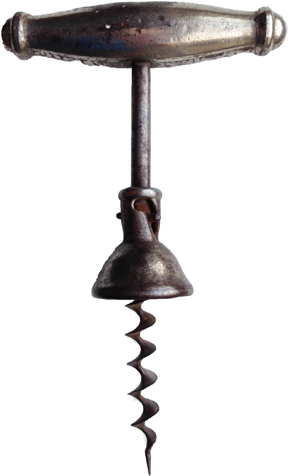 There will be corkscrew news soon enough however, as a week from Monday we leave for Paris, and then after a few days will head to Belgium for the CCCC and ICCA AGMs. There will be plenty of corkscrews there. And, I mean plenty!!! For those of you that have never been to a meeting, you really do need to attend at least once. 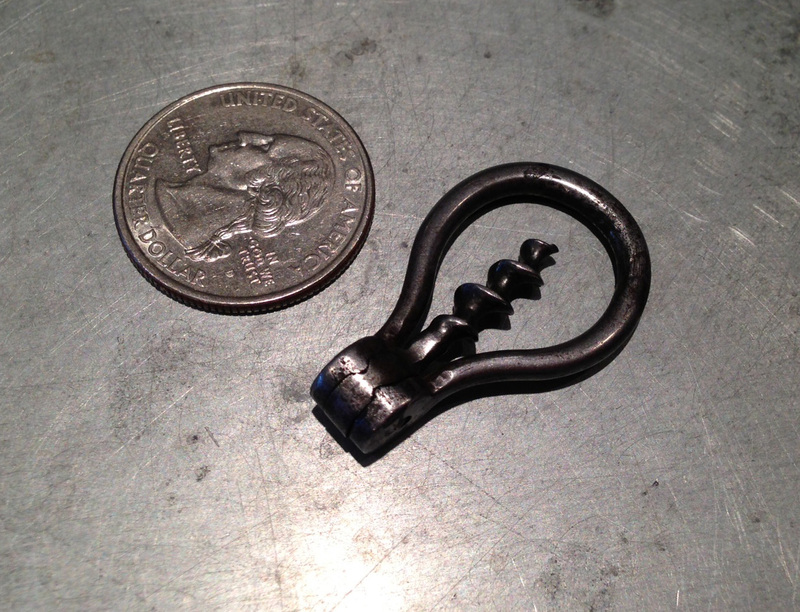 It is truly amazing at how many corkscrews change hands, and what is made available for sale (or trade). And, of course the meetings are a wonderful opportunity to renew old friendships, and sometimes strike up some new ones. 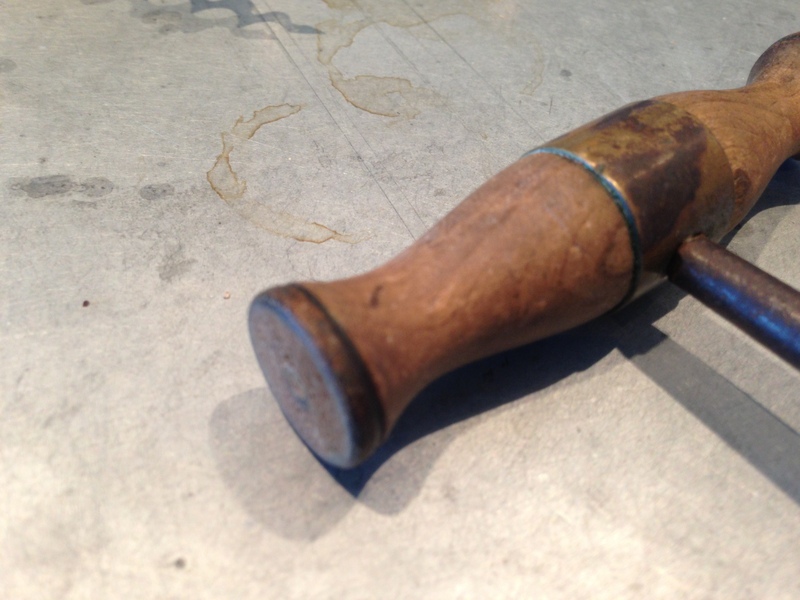 Until then, if any blogworthy corkscrews turn up…I promise to post them immediately!!! The lovely personal trainer and I were on a road trip the last few days. We left the island, and headed to Keene, NH for the night, and after a morning run (and showers) headed to Glenora, NY to spend some time with John and Martha Morris. Following a brief “show and tell” of recent acquisitions, John indicated he would like a couple that I brought, and we discussed trade options. And, after paging through the just published (and in this case, hand delivered) Bottle Scrue Times, the four of us hopped in the car and headed off for some wine tasting in the local Fingerlakes wineries. This was followed by a fabulous dinner, with some more great wines. We had brought a bottle of Paloma Merlot from Sheldon’s winery, and that was definitely a hit. The next morning started with a huge breakfast, and then a little antiquing. Few corkscrews worth buying, although we did find an old bitters bottle with the corkscrews till in the cork. John picked that up, and then we hit a brewery, winery, taco truck, winery, and distillery. A few wines were purchased, also some vodka and bourbon, and then we started heading back for home. As we were nearing the time to head off to dinner, John suggested that he will send me something from his collection when he gets back to Tennessee. I threw out one idea, and he thought that might be appropriate. But, it will be interesting to see what it ends up being–he gets an interesting folding corkscrew with patent information and a folding Frary leg knife, and I get a player to be named later…much much later. Dinner was fabulous, and the conversation ran the gamut from renovations in Maine, future visits to each others’ homes, corkscrews, corkscrews, corkscrews, upcoming travel plans, etc. The conversation just kept flowing, as did the wine. The next morning, the lovely and I had to hit the road early to start heading for home. We shared a nosh and some coffee with John and Martha, and were soon heading towards home–well, kind of towards home as we had to pick up some construction supplies in Massachusetts. With lunch time upon us, and having traveled many hours, we hopped off the main road, and after a couple of miles saw a sign for a place with artisanal beers. When we pulled up it was even more promising, as it also said ANTIQUES on the same building. We went in, ordered a couple pints of Guinness, a couple of burgers, and while we waited for the Guinness to arrive, I headed over to a glass display case. Within it, was a fairly large direct pull with a fairly large blade on the side of the handle. After talking to the barkeep about it, she explained that the antiques belonged to the owner, who was apparently, at that very moment, cooking our burgers. Given we were a little hungry, I opted NOT to interrupt him. 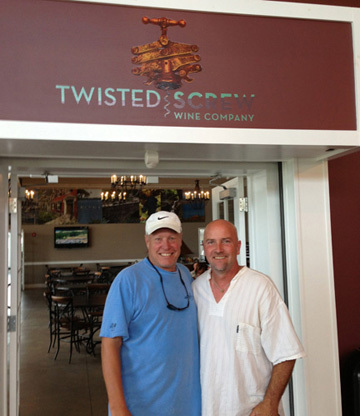 As we were finishing up, however, he wandered over the bar to take care of some other business, and I struck up a conversation regarding the corkscrew. He opened the display case and handed it to me, and a deal was struck. 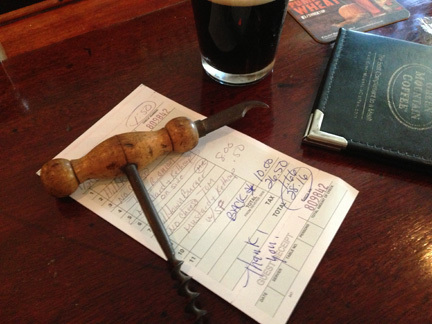 Two Guinness, Two Burgers, and a Corkscrew…all in one stop. In short order, we were on our way again. And, after picking up some supplies, we headed to Concord, NH for the night. A great dinner there as well! The next morning, following a run (and showers) we were on the road again. 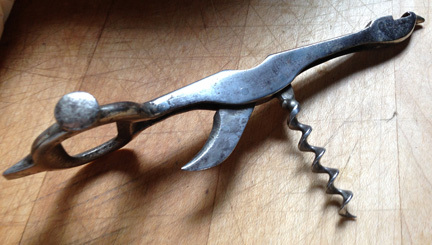 Meanwhile, I received an email asking if I would be interested in a 7 tooled folding bow corkscrew. After looking at the pictures closely (really closely as they were on my iPhone), we agreed on a price, and this soon will be arriving on the island. After many miles, late yesterday afternoon, we made it back to the island, and soon enough I will start utilizing the aforementioned construction supplies to finish off the new upstairs closet. A fabulous weekend with John and Martha!!! We can hardly wait till our next visit!!! I definitely agree with Ian regarding the German example, I would love to add one of those. And, there are indeed a whole lot of variations that aren’t shown on my Curley page, as I have chosen to only include those that are currently in the collection. There are smaller bells, bells with no flaring, as Ian points out, and variations of the German examples. And, so the hunt will continue. 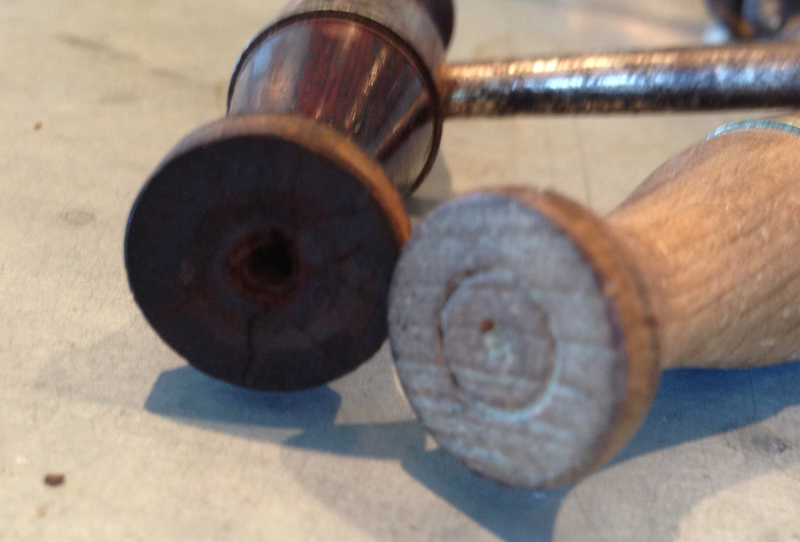 That said, Ian questions whether all of the wooden handled Curleys originally had metal end caps. 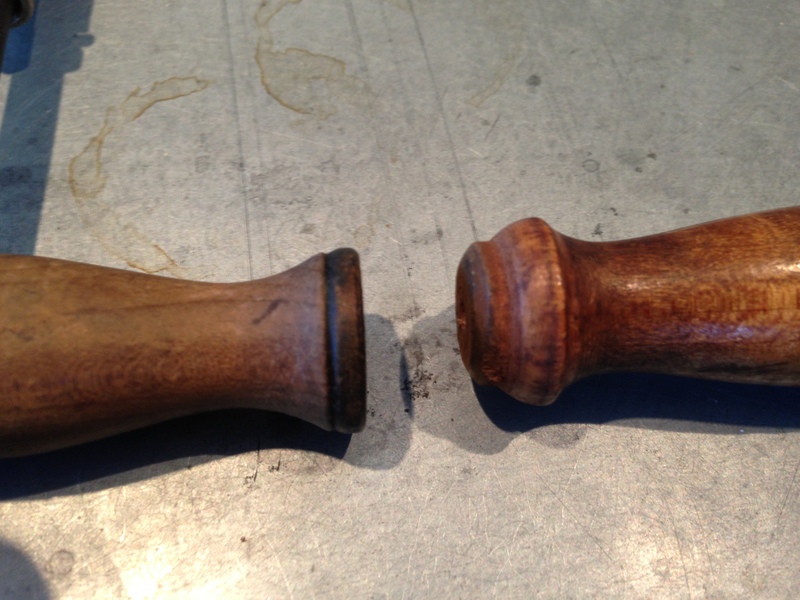 I have also wondered about this, and as I have a couple of Curleys laying around, I figured we could compare a couple of handles. 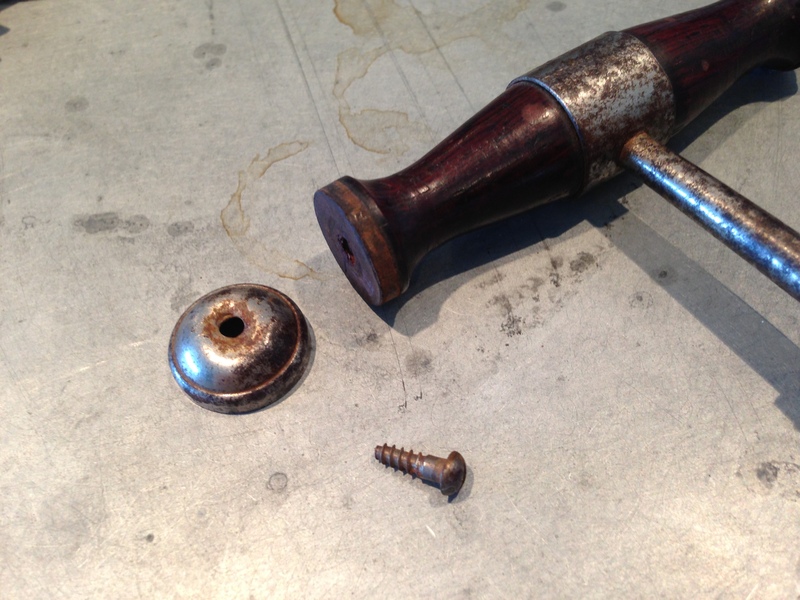 Here is the end cap from the a Curley with a cast iron bell. 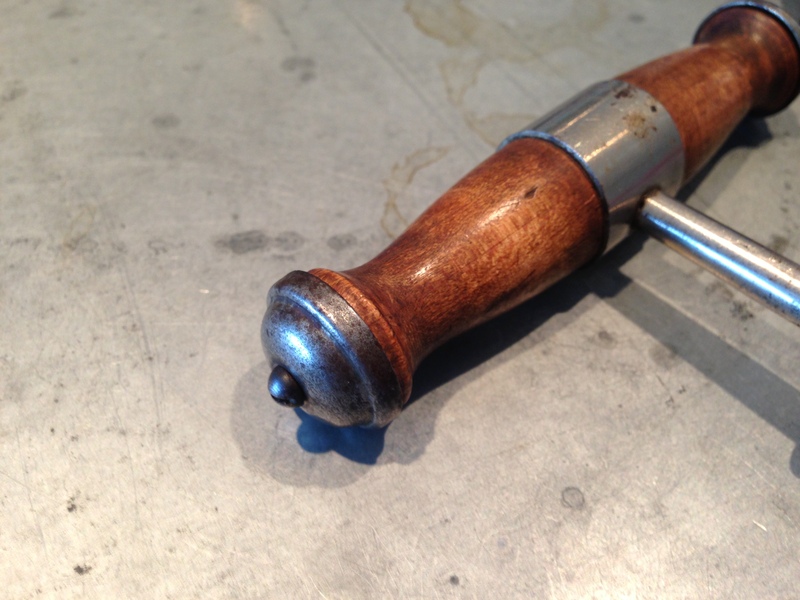 As you can see, the handle has an acorn end, that is reflected in the acorn end cap. And, of course, there is a hole in the end of the handle. 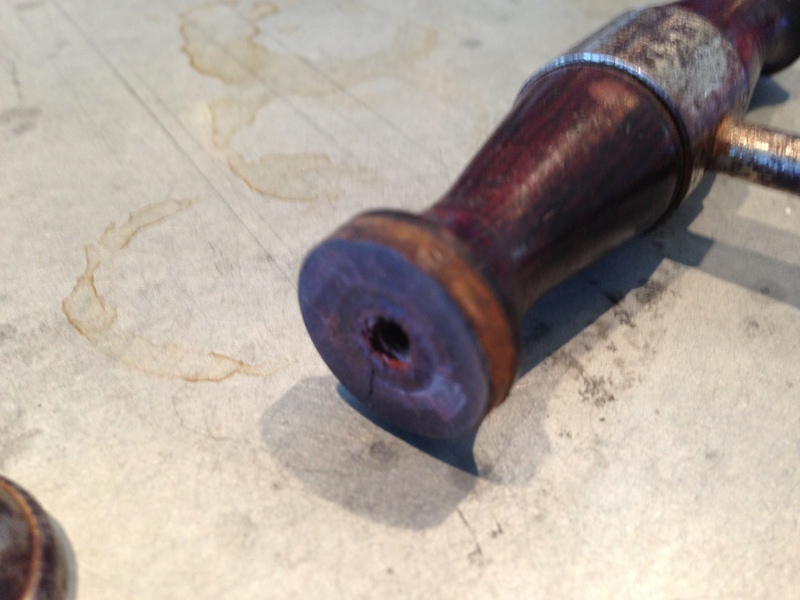 That said I have two other Curleys–not yet shown on the Curley page–that do not have end caps. 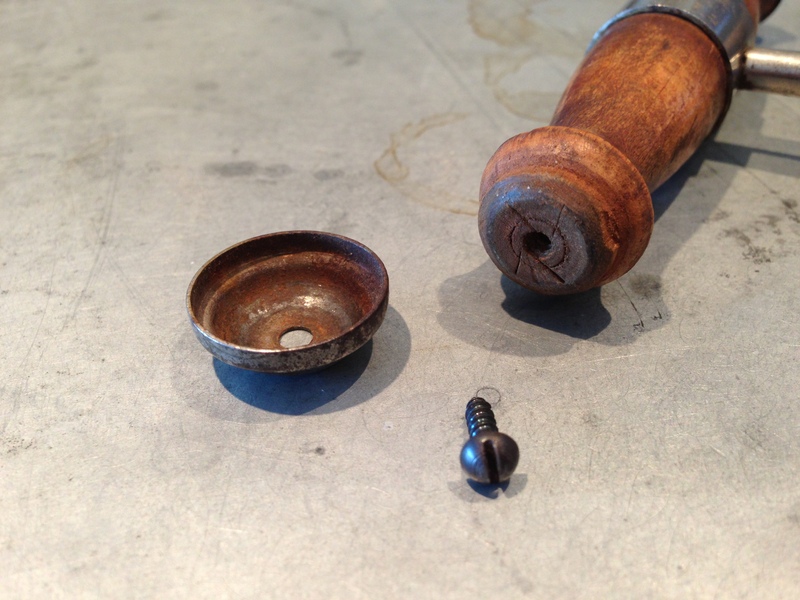 They also are not acorn shaped, nor do they have a hole into which a screw would have been placed. How would one affix an end cap? 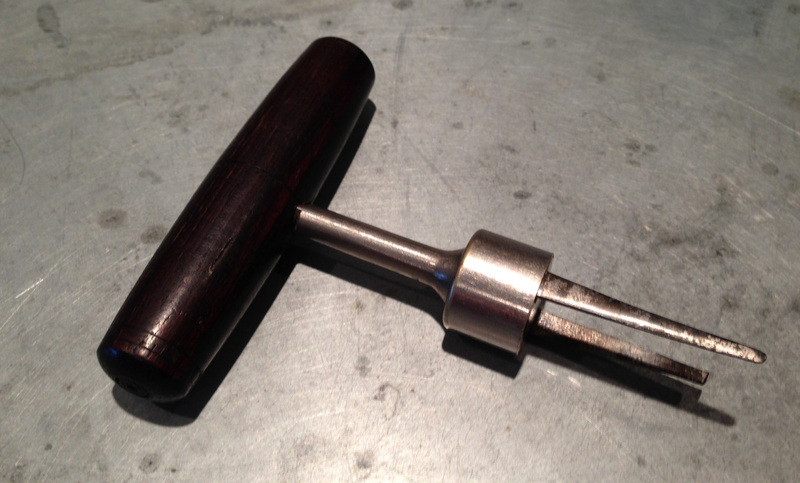 The end of the handle is flat, and the end cap provides the acorn shape. Of course there is the telltale hole, which would indicate that something at one point would have been screwed in. 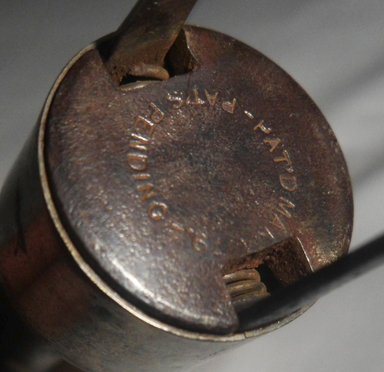 That said, in comparing it with the non-end cap Curley, there are no screw holes in that particular handle. Were some Curleys made without end caps? Did a few slip outside the factory without receiving their appropriate metal acorn ends? Thanks for the feedback Ian!!!! 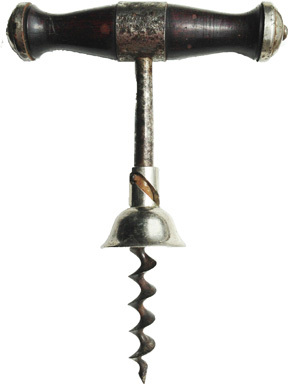 I figured it was about time that I launch a T. Curley Troy N.Y Corkscrew page on the website. And, as of this morning it was up and running. 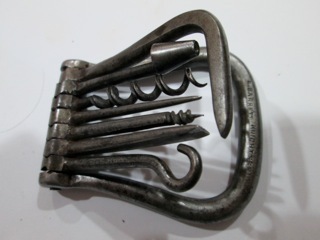 While there are other Curley (and Hicks and Reynolds) corkscrews that I would like to add to the collection. The page does have a few, and does show some of the variations that turn up. 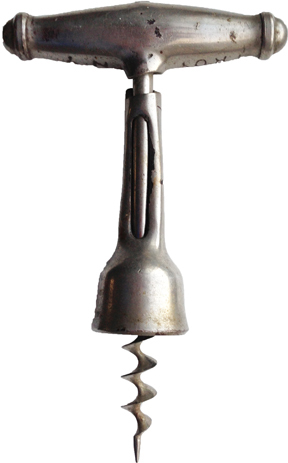 And, if you have a Curley (or Hicks and Reynolds) corkscrew with which you would like to part, feel free to drop me a line! I am always willing to make a trade! The lovely bride and I headed to the mainland yesterday to run a couple of errands, and as luck would have it, we happened upon an antique shop to which we had never been. 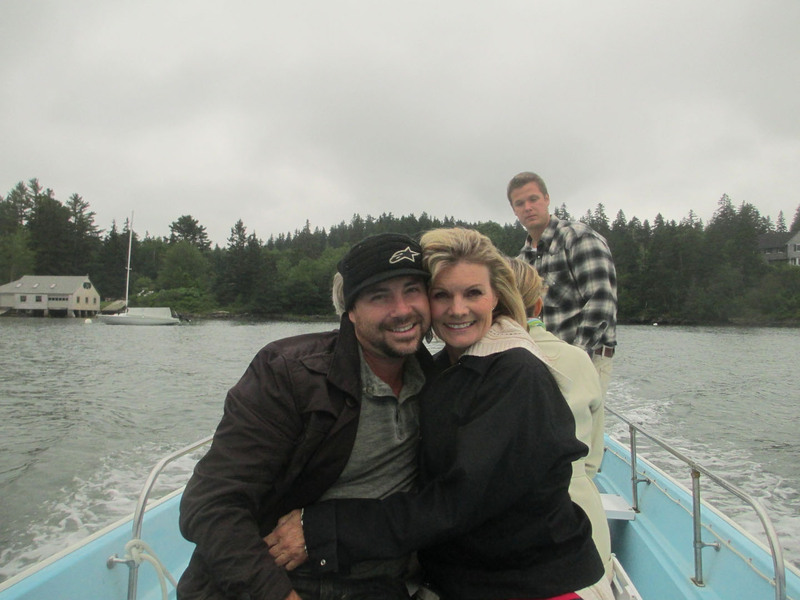 This is actually a rather odd occurrence, as we have been antiquing up and down the Maine coast for well over a decade. So, we turned a corner, and saw both an ‘ANTIQUES’ sign and an “OPEN” sign. We flipped the car around, and turned into the driveway. After checking out the barn, where there were a couple of rusty (common) corkscrews, we headed into the main building. And, as soon as we entered you could see a small Havell’s bow with a price tag of 6 dollars. Next to that were to advertising Cloughs with price tags of… 6 dollars. As I picked up the bow, the lovely and I made our way around the rest of the shop. 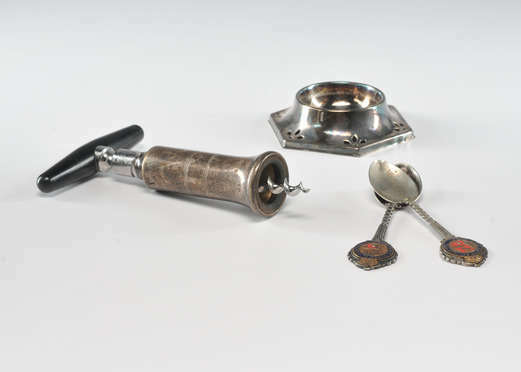 No more corkscrews, just those on the table the moment you walked in. As if the person knew we were coming! Others? I wondered what others he might have. The lovely and I went to lunch (and the ATM) and eventually headed back to the little antique shop. On his desk when we walked through the door were an additional 10 corkscrews; Walker, Williamson, Cloughs, a Hercules frame, and…a Mumford. I picked up the Mumford, and noticed that it wasn’t marked around the housing. I turned it over, and checked if it was marked like the one that was in my best 6 for 2012. It was, but…not exactly. The Mumford that I had in last year’s best 6 was marked with PAT. MAR. 4-79 -PAT’S PENDING. 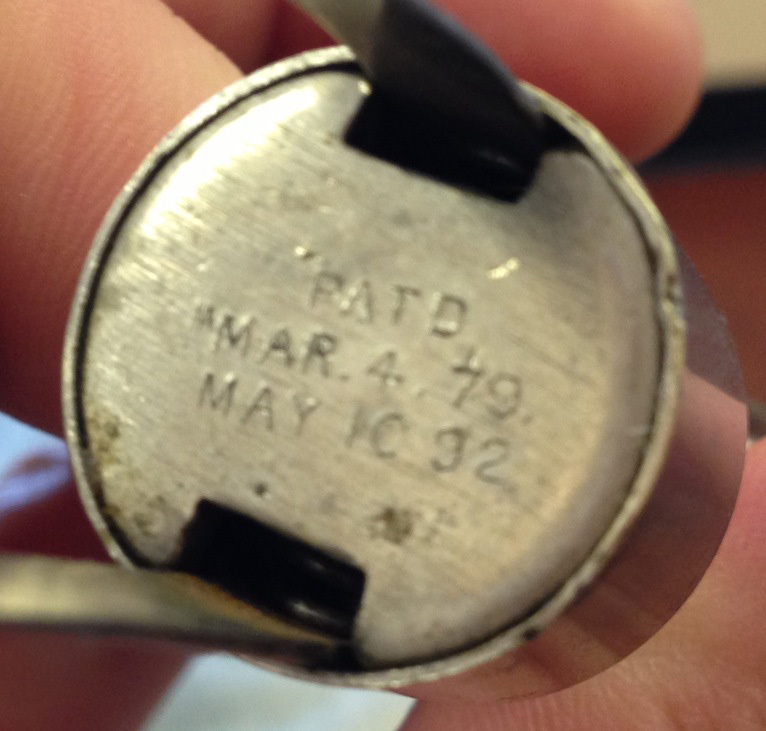 The one in my hand had the two patent dates instead. 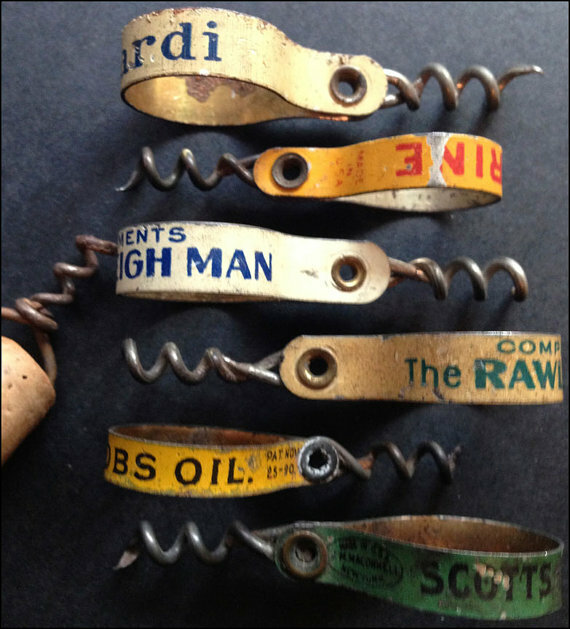 I looked again at the other corkscrews, and we discussed prong pullers and modern versus old examples. And, I was about to ask how much, when he began to explain that this was his mom’s shop, and she passed several years ago. And, he is in the process of re-opening it and selling of the stock she had; both from the shop’s and her personal collection. And, what he had brought out, is just what he was able to find so far. 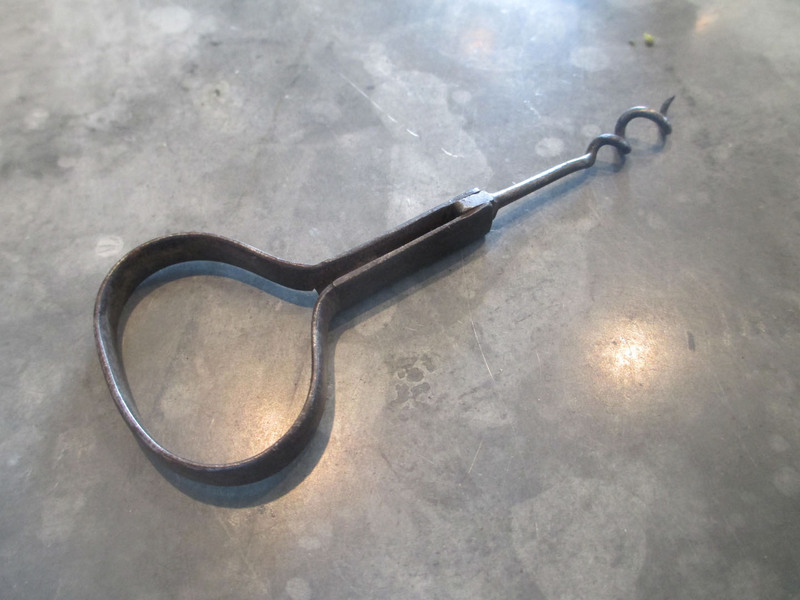 With the other corkscrews priced anywhere from 6 dollars to 45 dollars (for a Williamson without advertising) I had no idea where we end up when we struck a deal, and when he suggest that the Mumford should be 15 dollars…I certainly didn’t hesitate. I handed over the 20, we thanked him for bringing the corkscrews out, and he promised when he unearths the other corkscrews, he will give a call. The other day I received an email from BT asking about my plans for the upcoming Brimfield Antiques Show (which starts tomorrow). And, I sent a response, that for the first time in forever, I am skipping Brimfield. With renovations on the house almost complete, and with other travels and vacations soon to be upon us, it seems that Barry will have Brimfield to himself. That is, unless, any of you decide to make the trek out there. Yesterday the lovely bride and I booked our flights for the upcoming ICCA and CCCC meetings in Belgium. But, flying in and out of Brussels from Boston was proving to be a little difficult, so we considered our options, and instead will be flying into Paris for a few days before hopping on the train to Leuven. And, as it happens, we will be spending out 20th wedding anniversary (August 7th) in the city of lights, where we also spent part of our honeymoon 20 years ago. As we were looking at where to stay, we decided to opt for an apartment rather than a hotel, and spent the better part of a couple of hours looking at VRBO and AirBnB for accommodations. We have a few places that are good candidates, and sent off queries to be sure they are available. After the Paris apartment hunt, we headed down to a friend’s dock to see the fireworks. 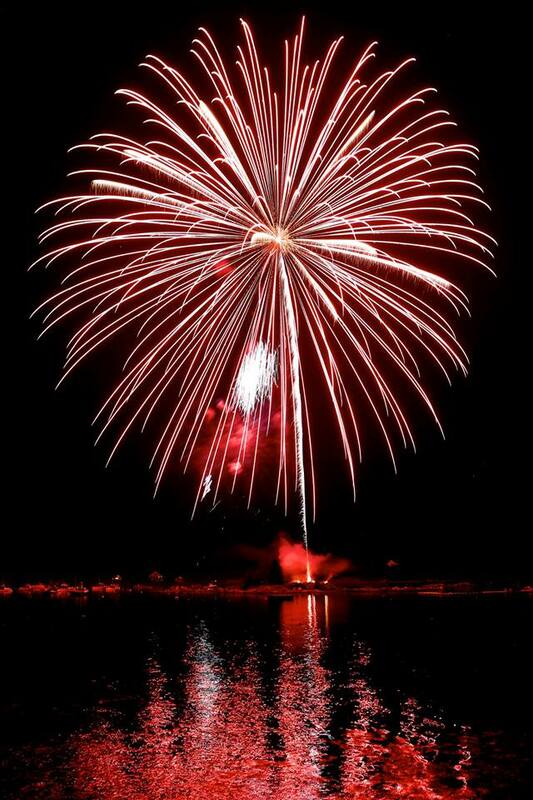 I know, it was the 6th of July, but that was when the fireworks were to be launched, and it was great to see the harbor lit up. 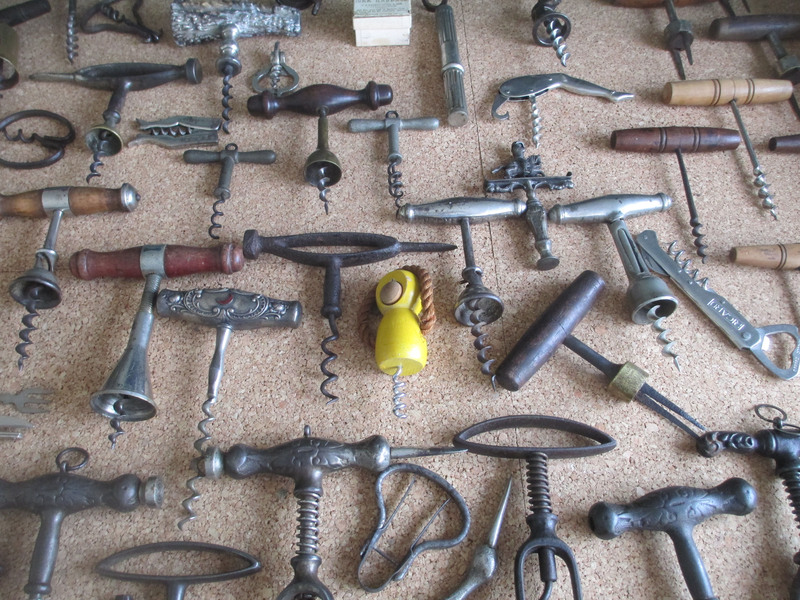 On a corkscrew note, P-Dibby managed to win every corkscrew he wanted at an auction in Kentucky, including a Royal Club for a song (although, I don’t think they made him sing). Meanwhile, my big purchase of yesterday was a little less impressive, but still cool. 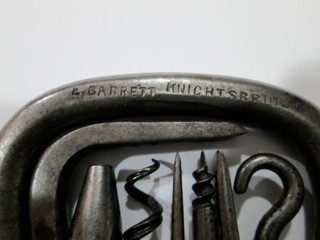 For about a year now, I have been talking with Barry Taylor about writing an article on flat band Clough and wire advertising Clough corkscrews. He has many of these in his collection, and recently sent a list of those that he already has. Having these two lists at one’s fingertips, it is pretty cool when you can find one that isn’t on either list. And, yesterday, I managed to find a small grouping of flat bands, with one that is an advertisement for Bacardi. Still, perhaps we should revisit the list of advertising flat band Clough’s out there. What different ones do you have in your collections. What variations of these exist that aren’t on either list? The lovely sister-in-law and her boyfriend “sparkles” (his real name is Alex, but sparkles seems so appropriate) have been visiting for the last couple of days, and upon their arrival at our house they presented us with four corkscrews they found at an antique shop in Canada. Of the four, I am particularly fond of the little wooden monkey. Also, the Singleton bow arrived the other day, and while unmarked, it is still pretty darn nice. 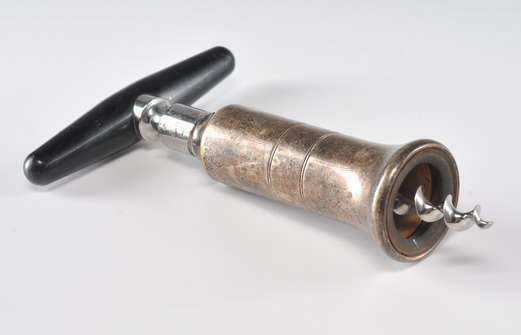 Several days ago, I had found an online auction (not ebay) that had a lot for sale that contained a corkscrew. And, over the course of the week, would check in on the lot. A couple of days ago, another bidder apparently saw the lot, and placed a bid; the lot showed 1 bidder, 1 dollar. 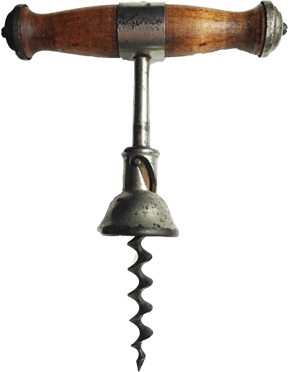 The corkscrew would be a double, so I needed to consider how much I should be bidding, what the competition might be bidding, and how badly I wanted another example. Taking this all into account, I placed a bid. 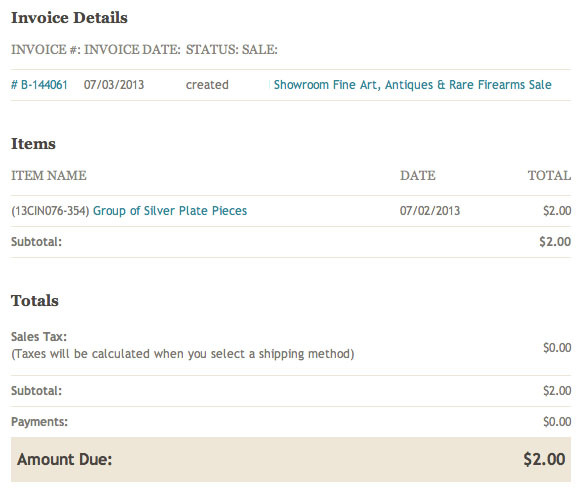 And, on the auction site, it registered that the lot was now 2 dollars. The auction was set to end yesterday, and at 16 hours to go, the lot was still reading as 2 dollars; were they not registering bids yet? What was the first bidder willing to pay? Who else would be jumping in the fray? This morning I received a confirmation email that I had won the auction lot. Knowing what I had bid, I knew it wouldn’t be more than 75 dollars. In reading the email, it was considerably less. So…the first bidder really only bid a dollar? And, no one else wanted the silverplate lot? Not that I am complaining mind you. 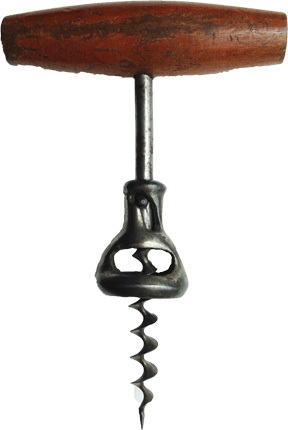 The DICO corkscrew looks to be in nice shape, and at 2 dollars (shipping was 5 times the cost of the corkscrew btw) a smokin deal! Thanks one-dollar-bidder-person!